Two provisions of the BPCIA were at play in the Federal Circuit’s decision. 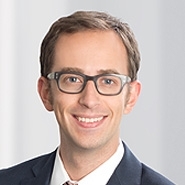 First, under § 262(l)(2)(A), the biosimilar applicant initiates the statutory “patent dance” by providing a copy of its biosimilar application and information about how its product is manufactured. Second, under § 262(l)(8)(A), the applicant must provide a notice to the innovator 180 days before the first commercial marketing of the biosimilar product. In Amgen v. Sandoz, the Federal Circuit’s first BPCIA decision, the court held that (2)(A) was optional, but that (8)(A) was mandatory and could only be provided post-approval. Sandoz was free not to provide information about its product to Amgen, but it had to provide a notice of commercial marketing after FDA licensure and could not enter the market for 180 days after doing so. In Amgen v. Apotex, Apotex had argued that the (8)(A) notice provision, and its concomitant 180-day period before sales may begin, was not mandatory on the facts of its case. Apotex seized upon what it saw as a key distinction between itself and Sandoz: Sandoz had refused to provide any information under (2)(A), while Apotex had elected to follow the patent dance and made its (2)(A) disclosures to Amgen. Apotex argued that under Amgen v. Sandoz, the (8)(A) notice of commercial marketing was only mandatory if the applicant failed to provide the information required by (2)(A). Second, the court rejected Apotex’s argument that a mandatory notice impermissibly extends the BPCIA’s 12-year exclusivity period by 180 days. It noted that under the statute, the 12-year date was the earliest date on which a biosimilar could enter the market, not the latest. 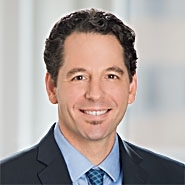 Moreover, the court pointed out (as the panel had also noted in Amgen v. Sandoz) that nothing stops the FDA from approving a biosimilar product before the 12-year exclusivity period is up, as long as the license does not become effective until the 12-year mark. In those cases, the Federal Circuit suggested, “the 180-day notice of commercial marketing [could] be sent as soon as the license issues, even if it is not yet effective,” and there would be no extension of the 12-year statutory exclusivity period. Next, the Federal Circuit looked to the “established and evident purpose” of the notice of commercial marketing, observing that it “covers applicants that file (2)(A) notices as well as those that do not.” Citing Amgen v. Sandoz, the court characterized purpose of the (8)(A) notice as providing the parties with a pre-launch period during which “the necessary decision-making regarding further patent litigation is not conducted under time pressure that will impair its fairness and accuracy.” In other words, the notice provides a valuable period during which patent infringement can be adjudicated before the irreparable harm of a launch occurs. In the Federal Circuit’s view, this purpose is served regardless of whether the applicant made patent dance disclosures or not.